How many episodes of Gravity Falls have you seen? Cute Biker: Get 'em! Get 'em! 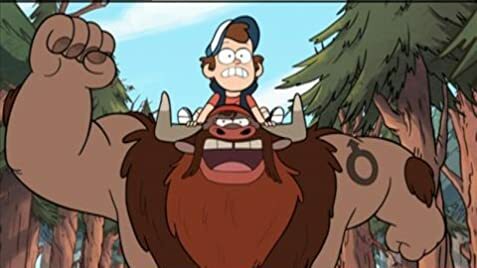 Q: Is Gravity Falls going to have a second season? 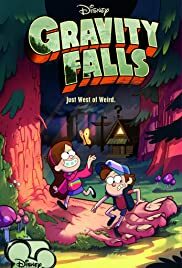 While I am 50 years old and WAY outside the target audience for this show, my 24 year-old daughter is hooked--so much so that she always insists that I watch "Gravity Falls" with her. And so this is how I came to see the show--and I assume most who have reviewed the show are much younger than I am! The plot is a lot like the old show "Eerie, Indiana" in that the main characters, who are kids, keep stumbling upon weird cases of the supernatural in this bizarre little town. However, and this is important, unlike "Eerie, Indiana", the characters are far more likable and funny. In particular, Mabel is a hoot--and is among the best things about the show--as is Gruncle Stan. But the others are all quite charming and weird. The writing, therefore, is a very strong suit about the series and, oddly, will appeal to just about all age groups. Sure, it's a show for kids--but oldsters like me will like it too, if they give it a chance. Well worth your time.